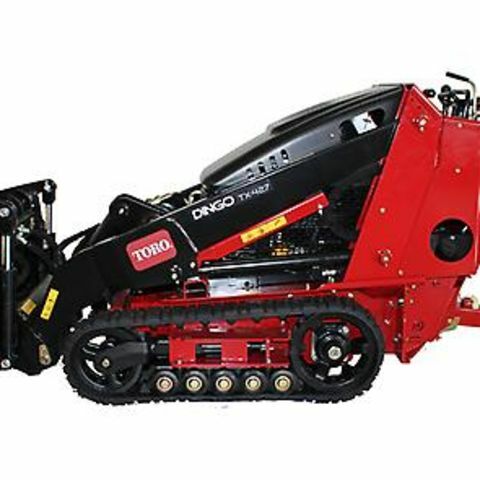 Easily attaches to the Toro Dingo Utility Loader. 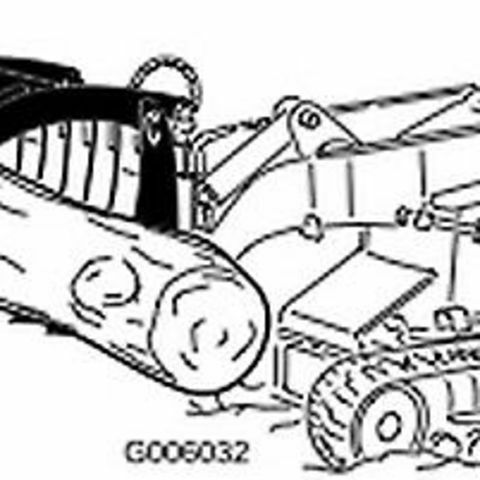 Great for lifting and placing heavy objects such as logs and rocks. 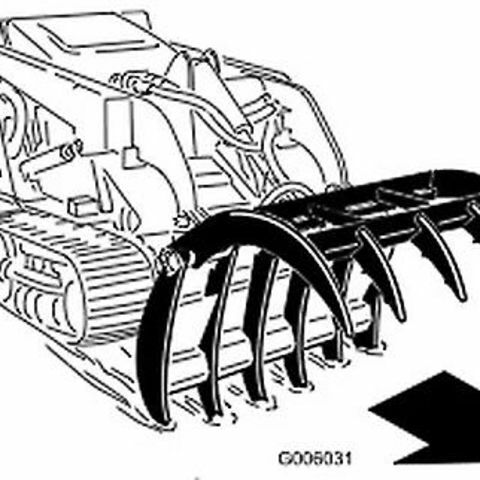 Also useful for ripping bushes and roots out of the ground. 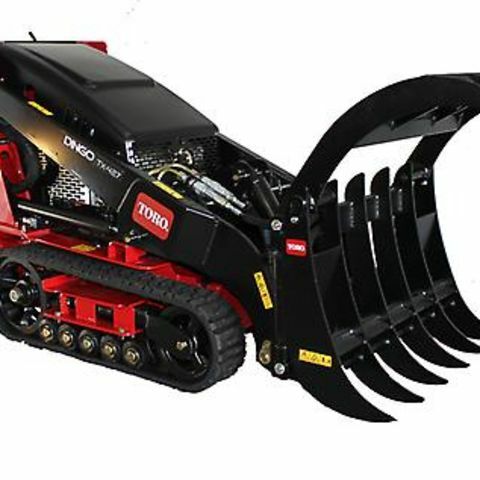 Must be rented with the Toro Dingo Utility Loader. 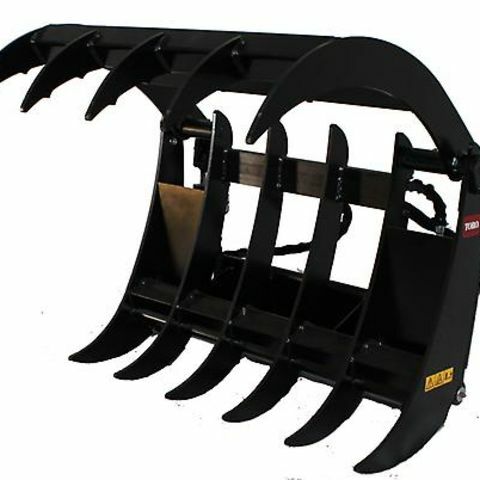 An amazingly versatile tool, the grapple attachment rental is a wonderful compact utility loader accessory. 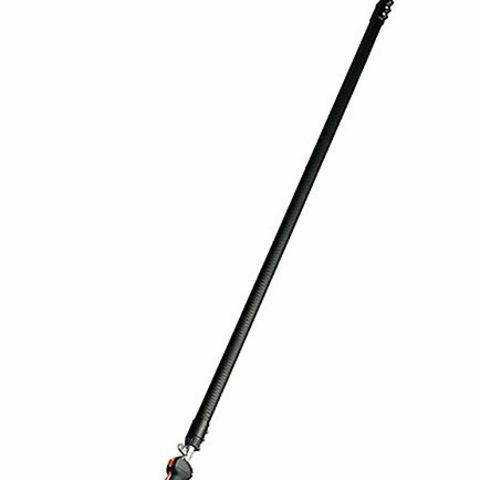 With enough "clawing" pressure to grab nearly anything, this grapple is great for moving large boulders, logs, branches, brush and nearly anything else that can be grabbed and lifted out of the way. 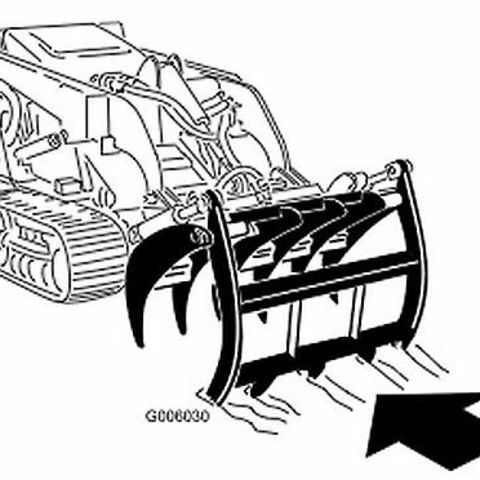 This grapple also makes a wonderful rake. 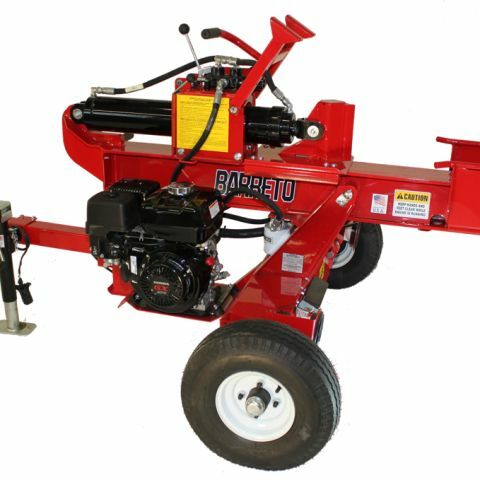 With the top forks pointed into the ground, it can tear out ivy, roots and other difficult brush. 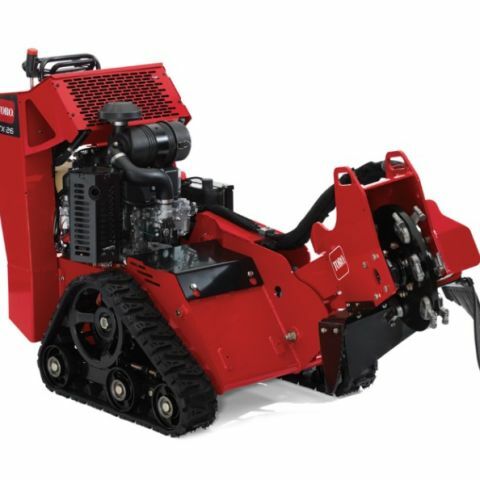 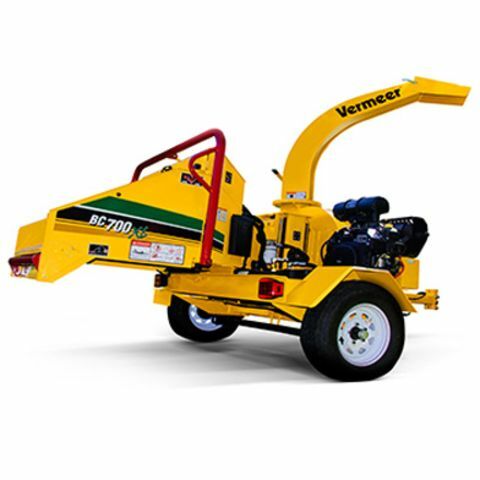 This grapple rental requires that you also have a compact utility loader to attach it to.